Dieci Australia, which supplies telehandlers to the mining, rail, agriculture, building and construction industries, has appointed Greg Cox to the position of General Manager. The Dieci Hercules 210.10 telehandler. Cox has been with the company for the past four years in the roles of Service Manager and Operations Manager. Dieci Australia says that Cox’s appointment, effective immediately, is part of the company’s current growth phase, which has seen the company expand its operation nationwide in the past 12 months. Director Paul Jenkins says Cox is well suited to, and qualified for, the General Manager’s role. "Greg’s got real enthusiasm, drive and passion for the telehandler industry and is driven by a customer service ethic, which makes him perfect to steer the company forward," Jenkins says. "As the new General Manager, I think Greg will be a real asset for our future plans, and will help drive the company to next level." Dieci machines are designed and manufactured in the same region of Italy as Ducati, Ferrari and Maserati, and the company likes to say its telehandlers offer the same Italian attention to detail and quality as the cars and motorcycles made by its famous neighbours. The company makes over 100 different models in its 120,000-square-metre headquarters, producing over 3,000 telehandlers a year. 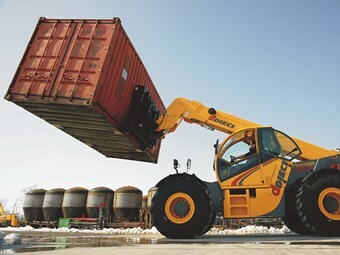 Dieci Australia says it has invested significant resources to customise its telehandler offering for local industries operating in some of the world’s toughest conditions. All Dieci telehandlers imported here are manufactured to meet or exceed the specifications required under the Australian Standards 1418.1, 1418.19, 1418.10 and 1418.5. Click here to find Dieci telehandlers for sale. Click here to look up Dieci telehandler specifications.